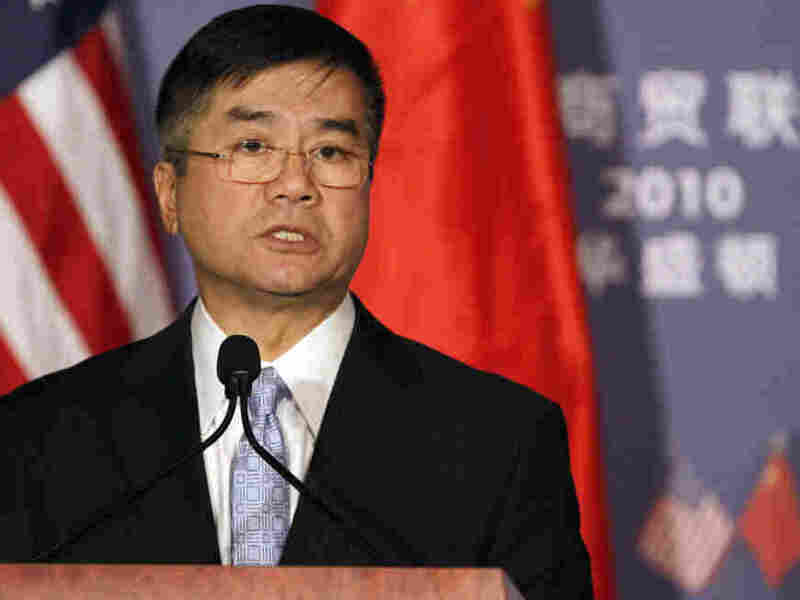 Obama To Name Commerce Secretary Locke Ambassador To China : It's All Politics President Obama's choice of Commerce Secretary Gary Locke will give the nation its first ambassador to China with known Chinese roots. Locke, a former Democratic governor of Washington state, has specialized in relations with China over the years. U.S. Commerce Secretary Gary Locke, Dec. 15, 2010. President Obama is going to make history Tuesday by naming Commerce Secretary Gary Locke to be U.S. ambassador to China, making him the first American of known Chinese ancestry to be named to that post. Several news outlets are reporting that the president will make the announcement. As the former governor of Washington state, Locke created relationships with senior Chinese officials. • Since leaving office in 2004, Locke has worked for a Seattle law-firm, specializing in China. As the nation's one-time top Chinese American politician, Locke has kept in close contact with his parent's homeland. He arranged for Chinese President Hu Jintao to start off his first state visit in 2006 to America in Seattle, and has met privately with Chinese Premier Wen Jibao — a rare event for any U.S. politician. He also ran a leg of the Olympic torch relay before 2008's Beijing Olympics. Locke's opportunity to go to China as his nation's ambassador results from Jon Huntsman, a Republican, resigning from that post. Huntsman, a former Utah governor, is thought to have resigned to explore the possibility of running for president. Since Locke was already confirmed by the Senate for the cabinet position, he should have fairly smooth sailing getting Senate confirmation to the important diplomatic posting. Also, it seems unlikely any senator would want to get in the way of such a historic nomination. Locke's appointment to China creates a vacancy at the Commerce Department. That presents Obama with the interesting possibility of naming a high profile chief executive who can underscore the president's message going into his re-election campaign that he's all about the economy and jobs. William Daley, the White House chief of staff, served as Commerce Secretary during the Clinton Administration and was a senior JP Morgan Chase official. So he's well situated to help the president select and then lobby the person Obama ultimately decides he wants to succeed Locke.